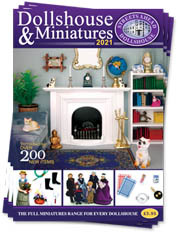 The NEW 2019 Dollshouse & Miniatures Catalogue from Streets Ahead is now available for download! 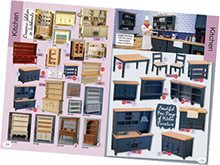 Our catalogue includes The Dolls House Emporium and Babette's Miniatures ranges. Download The 2019 Dollshouse & Miniatures Catalogue zip file (pdf format - 59Mb). Download The 2019 Dollshouse & Miniatures Catalogue pdf file (86Mb). Download the images only from The 2019 Dollshouse & Miniatures Catalogue zip file (RGB jpg files - This is a very large file, 278Mb). Can't view the pdf? Please update / install your pdf viewer now. We recommend pdf reader from Adobe.